Earth Month Movie Series #3: Food Inc.
A screening of the documentary Food Inc. 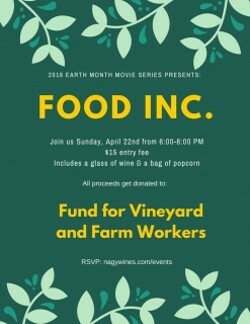 Proceeds benefit the Fund for Vineyard and Farm Workers. Admission includes popcorn and a glass of wine.